This article is the second part of a series by UNG Libraries covering some of the newest and most exciting additions to our GALILEO Database collections. A new post will appear on the last Monday of every month of Academic year 2015-2016. Please note: login required for off-campus access to some links. 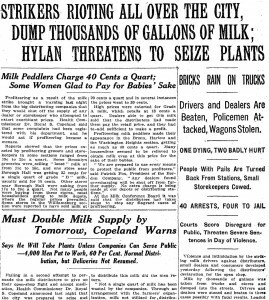 The ProQuest Historical Newspapers: The New York Times™ database offers researchers full coverage of the New York Times from 1851 to the recent past*. 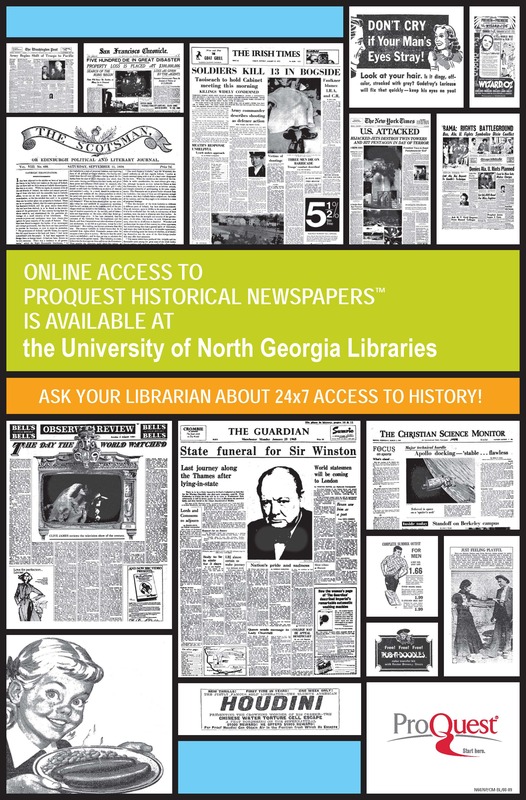 This invaluable resource provides a record of over 160 years of significant historical events. It also gives students and researchers a glimpse into changing social perspectives and values over the decades. The ProQuest Historical Newspapers: The New York Times™(listed in GALILEO as: Historical New York Times (via ProQuest)) database is a fantastic resource for primary sources in history. In addition to articles by staff writers, this database includes documents like satirical cartoons, letters to the editor, classifieds, and advertisements. History classes could read feature articles about significant historical events, then look at related cartoons, editorials, and letters to the editor to examine the social response to the historical event. Sociology classes might use ProQuest Historical Newspapers: The New York Times™ to compare current and historical attitudes toward groups of people. For example, this 1904 classified ad page features job applicants openly discussing their own religion, ethnicity, physical appearance, and disabilities. This could spark a class discussion about whether these attributes are a factor in modern-day employment. Political science classes might use this database to examine the evolution of current hot-button political topics. The immigration debate didn’t originate with the 2016 Presidential election, after all! Students can search for “immigration” or “immigrant” within an assigned decade, then compare and contrast the issues discussed in historical articles versus current articles. In the field of journalism and media studies, students might analyze how newspaper layouts have changed over the course of time. The “Browse this issue” feature shows an entire original page at a glance, including advertisements and images, and allows navigation to other pages within the issue. This retains all the original context and allows users to experience the newspaper much as the original reader would have. Like many databases, ProQuest Historical Newspapers: The New York Times™ can search through articles’ full text by keyword and narrow by publication date. Search refinements allow users to search for terms specifically within articles’ title, author, dateline, section, and more. Users can also search for a term anywhere outside of the article full text, which is helpful for common terms that appear frequently in irrelevant articles. 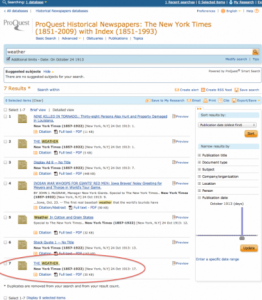 ProQuest Historical Newspapers: The New York Times™ can also search according to document type. Since this database offers full coverage, search results cover far more than just feature stories. Users can search for specific item types like advertisements, birth notices, classified ads, real estate transactions, obituaries, fire losses, soldier lists, and many more. Some item types, including advertisements and comics, lack descriptive labels that would allow users to search for specific topics. Instead of keywords, you can select “advertisement” as the document type, select a date range of interest, and leave the keyword search box empty. This will bring back all advertisements from the specified date range. Users can browse entire issues and experience them in their original layout. If you’re already reading an item in this database, click “Browse this issue” at the top or at the right of your page. If you’re starting from the Advanced Search page, click “Publications” and navigate to your desired issue based on its publication date. For more tips on searching within this database, see this guide from ProQuest. 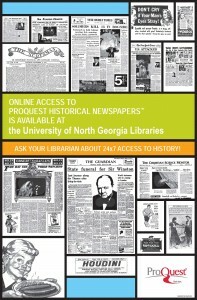 Many more newspapers, both current and historical, are available through the UNG Libraries. Explore more current and historical newspapers through GALILEO, including the current New York Times. *Coverage ends three years prior to the current year. Right now, coverage ends on December 31, 2012. Coverage of 2013 will become available in 2016.